Welcome to Mineral Development Fertilizer (MDF), a wholesale soft rock fertilizer supplier located in central Florida. MDF is committed to helping farmers and agricultural landowners throughout the world by supplying consistently exceptional sustainable agricultural fertilizers. We produce quality soft rock fertilizer to make maintaining fertile land and growing quality crops more beneficial to the grower and consumer. MDF’s proprietary Mineral Grow fertilizer is an OMRI Certified product that provides long-term sustainable nutrients for your soil. The low cadmium phosphate found in Mineral Grow is a naturally occurring colloidal soft-rock phosphate found in central Florida. The carefully balanced organic compound of Mineral Development Fertilizer’s Mineral Grow products, provide a targeted nutrient dense solution for your soil and crops. Natural phosphate is a more effective and sustainable option than its chemical heavy counterparts. Unlike chemical phosphates, natural colloidal phosphate binds to the soil, keeping the fertilizer in the place that you need it to target, instead of being susceptible to run-off. This allows the critical nutrients in Mineral Grow to be immediately available to the plant from its earliest stages of development and through the plants life cycle. Our dedication to quality, sustainability, and innovation has made Mineral Development Fertilizer one of the leading sustainable soft rock fertilizer suppliers in the industry. Find out why growers are choosing MDF Mineral Grow organic agricultural fertilizer over other organic fertilizers. Why Choose Mineral Development Fertilizer? MDF, wholesale organic fertilizer suppliers, is located in Central Florida with a 250,000 sq ft production facility served by rail and in close proximity to the Port of Tampa. Our professional team has extensive experience in handling clays, aggregates and fertilizers with over 100 years of combined operations. MDF has secured extensive reserves of soft rock materials suitable for the production of the MDF Mineral Grow products. We are aligned with some of the top agronomic consulting teams for soil analysis and recommendations for specific crop additives to meet our client’s specific needs. 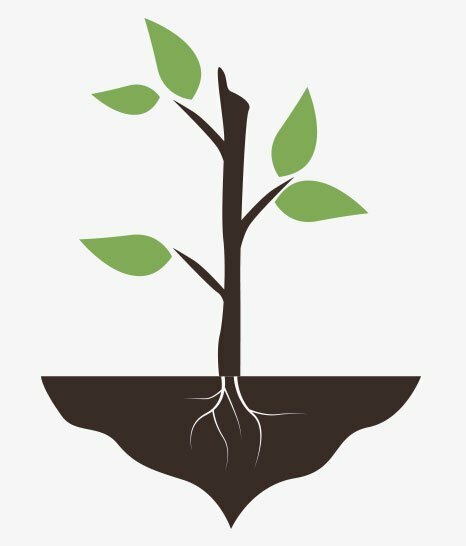 Our focus is the development of sustainable, natural materials to assist growers in producing the most nutrient dense food through proper soil management. Our core principles include good stewardship of the land, the safety of our employees and community involvement. Florida's Bone Valley region is known worldwide for its high grade phosphate resource. MDF has the ability to maintain reliable production for all seasons. MDF is a colloidal phosphate fertilizer supplier and producer of fertilizers for regenerative agriculture. MDF Mineral Grow is an environmentally beneficial, colloidal clay-based calcium soft rock phosphate that can never lock up, in contrast to other phosphate sources. Our fertilizer contains 14.9% phosphorus, 18.5% calcium, a high analysis of silicon and an exceptional amount of other trace minerals. Click here for full specs. This bio-phosphate is microbe-friendly which is imperative for a healthy soil regeneration program producing the ideal nutrient-dense products. This phosphate source has no problem with high levels of heavy metals. Click here to learn about all the benefits of using MDF Mineral Grow. MDF is committed to providing you with dry mineral fertilizers that offer a more ecological and sustainable solution, keeping your operation growing. We develop custom blend fertilizer tailored to meet the needs of all size farm operations, gardeners, and agricultural businesses. Scale up your profitability through healthier soil using a blend of MDF Mineral Grow soft rock phosphate increasing yield, taste and shelf life. Fill out the form below to request more information or call us to talk about our dry mineral fertilizer blending today.